WILLEMSTAD – The Public Prosecution informed today that the request for the release of the Member of Parliament Jacintha Constancia was rejected by the court. Last Saturday her remand was extended by eight days. 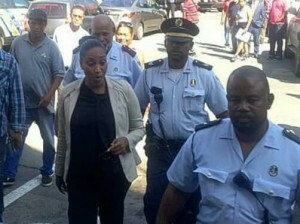 Constancia is currently detained for assaulting another Member of Parliament last week Thursday. This assault was filmed by one of the reporters in Parliament.